The Cuisinart Convection Steam Oven has managed to incorporate all the functions of a professional steam oven in a countertop footprint for a unique oven that can cut cooking time by as much as 40 percent. The Convection Steam Oven delivers full steaming capability along with traditional countertop oven features. With 9 single and combination functions, you can steam or poach vegetables, fish, poultry, and rice, or use steam in combination with both Broil or Bake functions to create beautifully crisp roasts that are moist and juicy inside. You can also proof breads, rolls, pretzels, and even donuts to get bakery results faster, with the ingredients your family trusts. Also has a Steam Clean feature, making clean up easy. 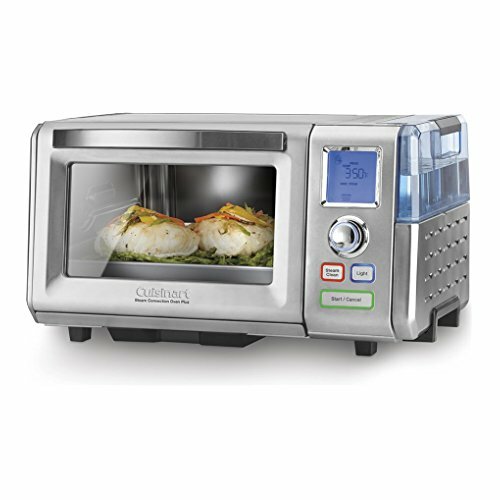 The Cuisinart Combo Steam and Convection Oven has many exciting features for users of all types. You can extend the lifetime of your Cuisinart Combo Steam and Convection Oven with the purchase of a FactoryOutletStore Factory Protection Plan. See the Cuisinart Combo Steam and Convection Oven gallery images above for more product views. 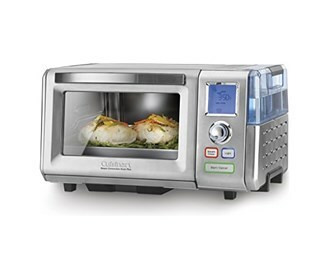 The Cuisinart Combo Steam and Convection Oven is sold as a Brand New Unopened Item.